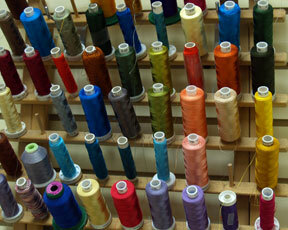 Welcome, Custom Stitch is your One Stop Shop! Come to us to fulfill all your needs in screen printing, embroidery and signs - be it business or personal. Our commitment is to provide you with the highest quality embroidered and screen printed merchandise at the most competitive prices in a timely manner. Our vast inventory includes golf shirts, tees, jackets, hats, oxfords and other garments, providing customers with great looking apparel from corporate wear to leisure wear. 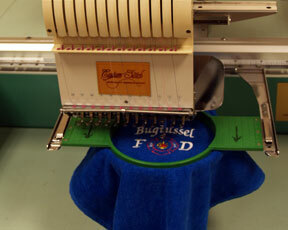 We also embroider individual items such as towels, bags, aprons, baby items, blankets and more. The embroidery /screen printing department provides fast and professional services to help our customers make the most of their purchasing experience. Custom Stitch uses state of the art computer software to create custom embroidery and screen printing with several thousands of designs and specific fonts to choose from to create your own business or personal logo. Got your own design? No problem! We offer fast and superior quality digitizing services at affordable prices. Items purchased somewhere else? No problem! Quantity? No problem! 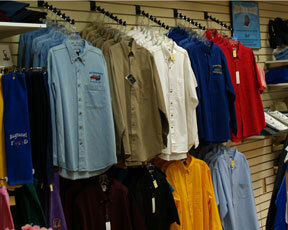 Bring your item(s) in for embroidery and our highly trained and friendly staff will be glad to provide assistance. Our department also provides services to school organizations, clubs, family reunions and much more!! Custom Stitch is your One Stop Shop!